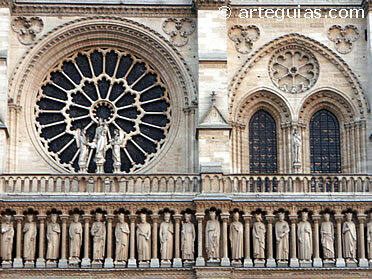 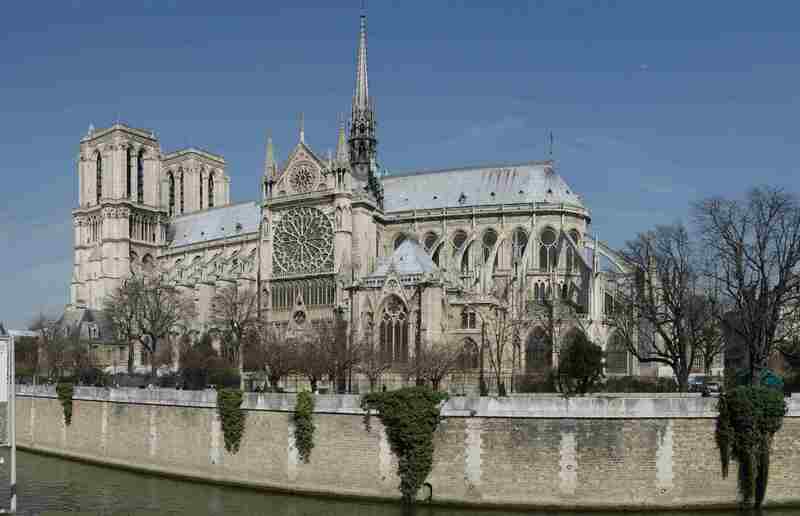 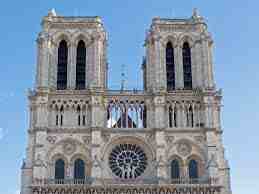 Also known as "Our Lady in Paris ", Notre-Dame is one of the most famous buildings of Gothic style in the world. 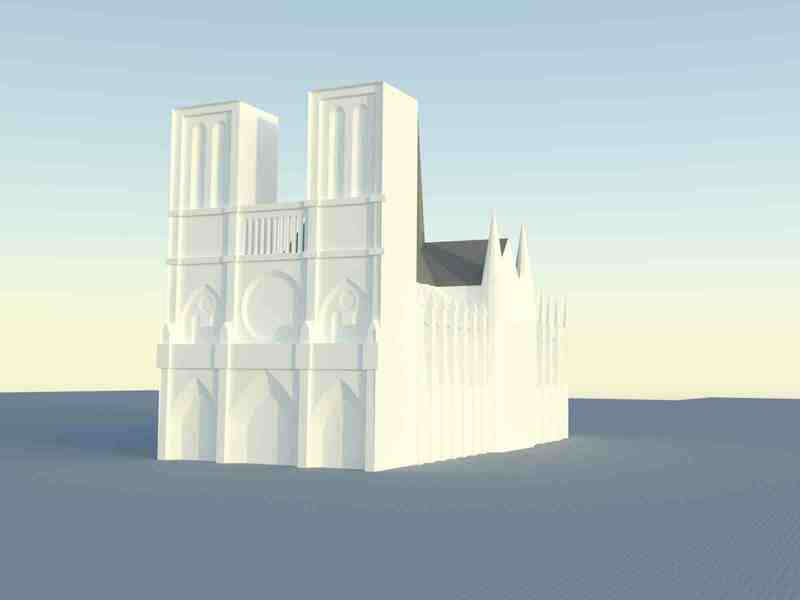 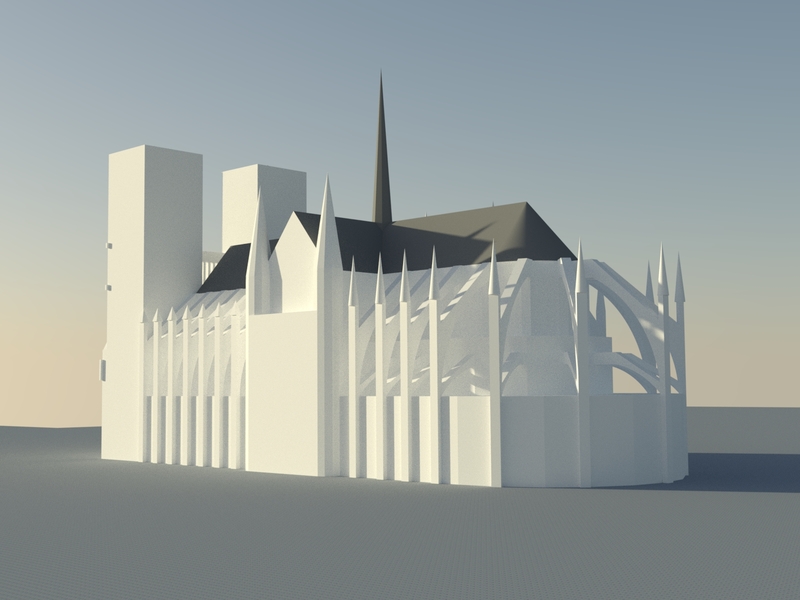 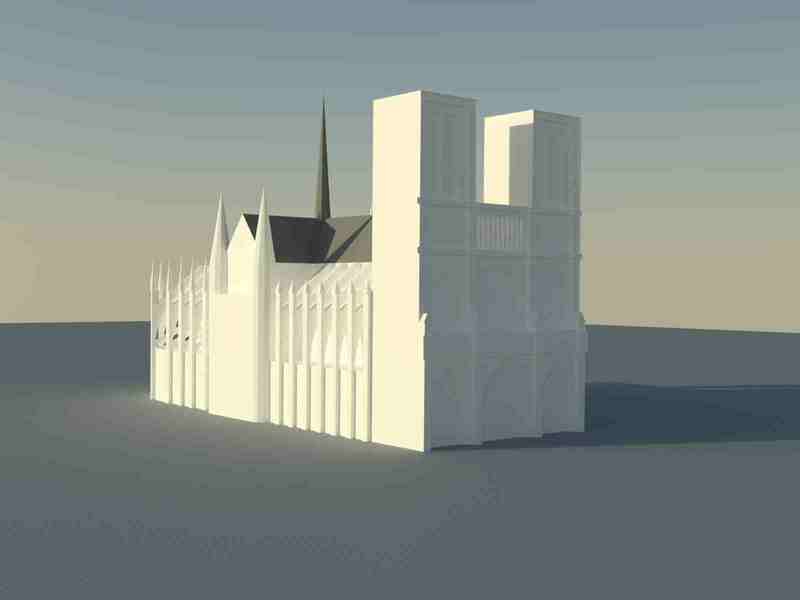 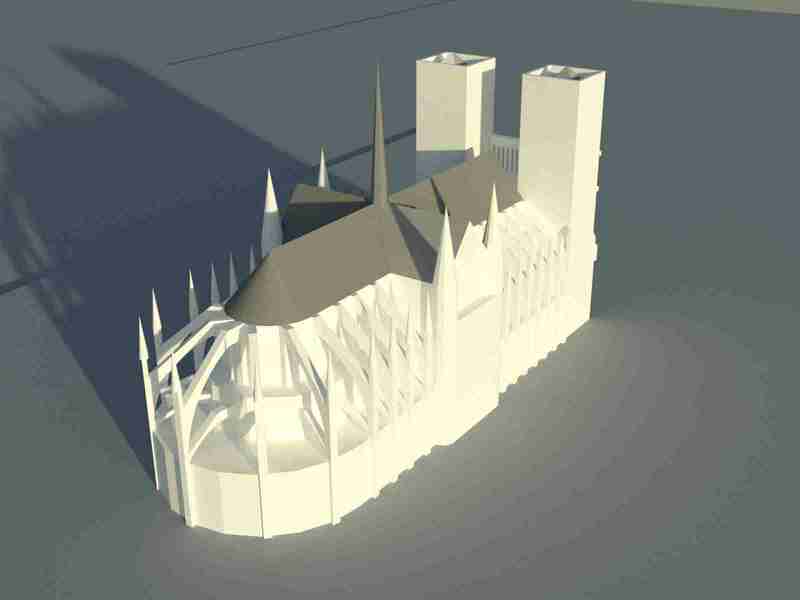 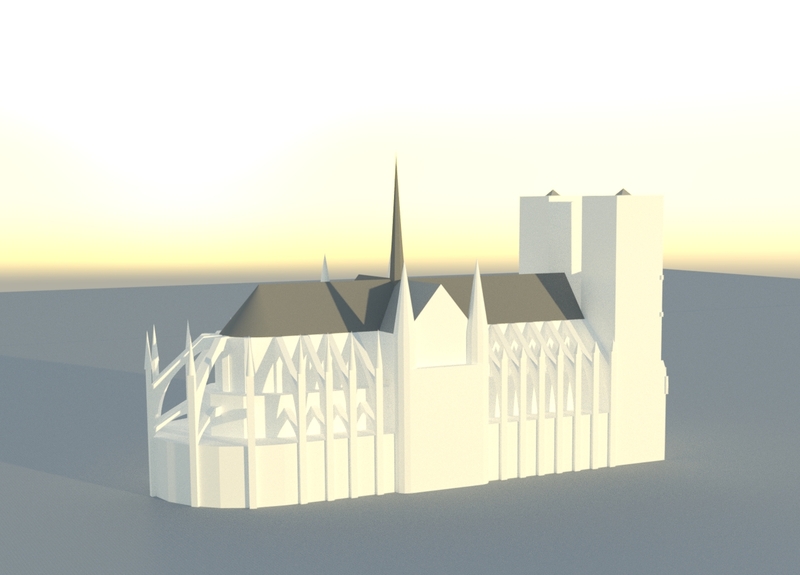 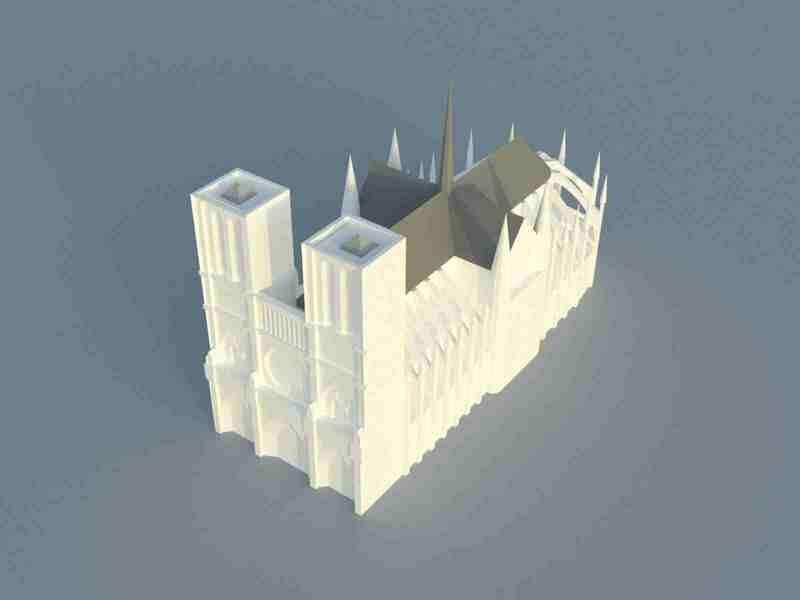 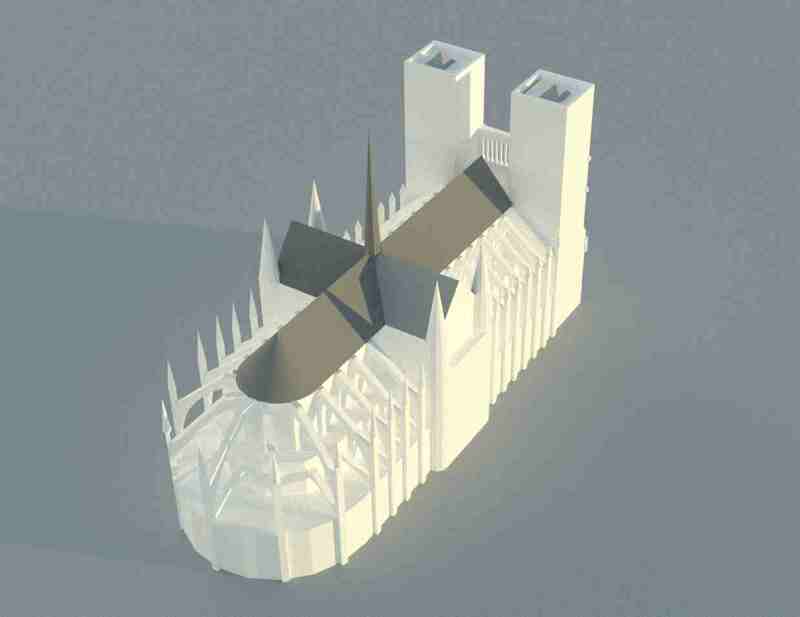 Both for its beauty as for its forms, it seemed to me very interesting draw in this course of 3D modelling one of my favourite cathedrals. 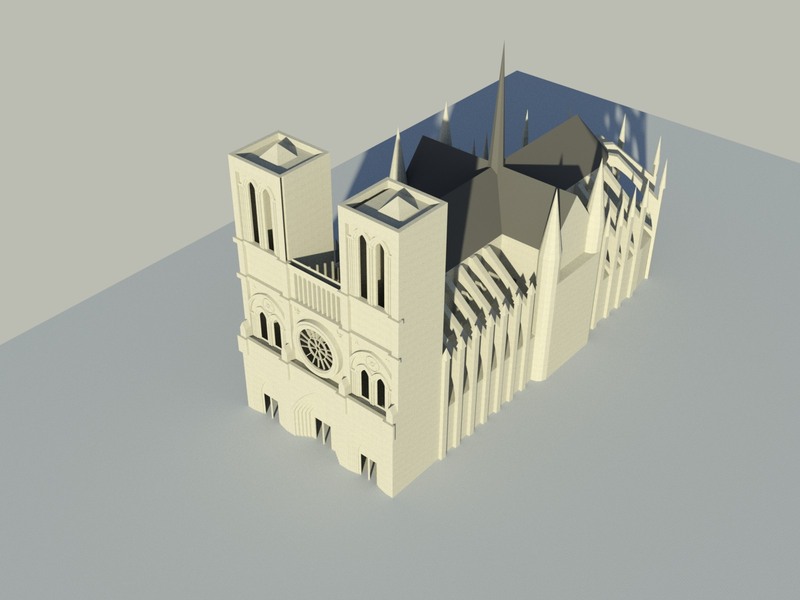 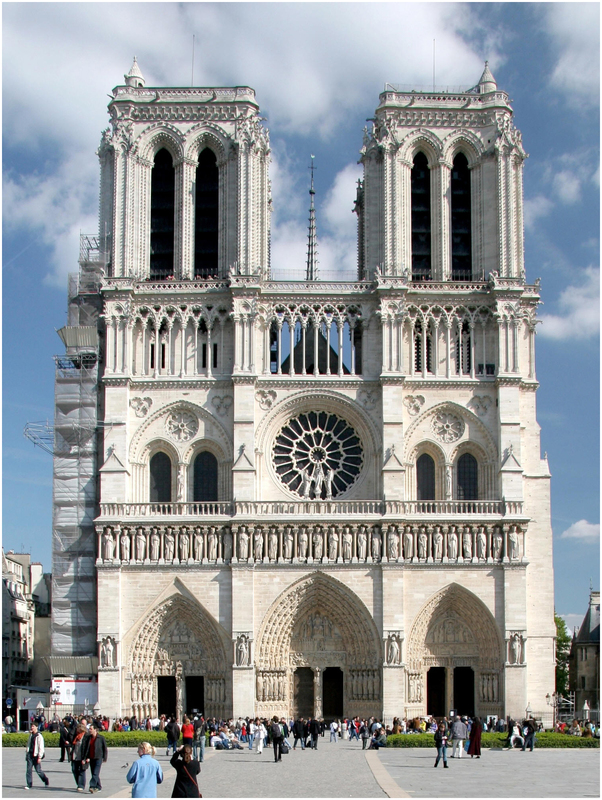 The best-known West facade of the Cathedral of Notre-Dame, with H scheme, a central body flanked by two towers,divided into three three sections vertically and horizontally in five. 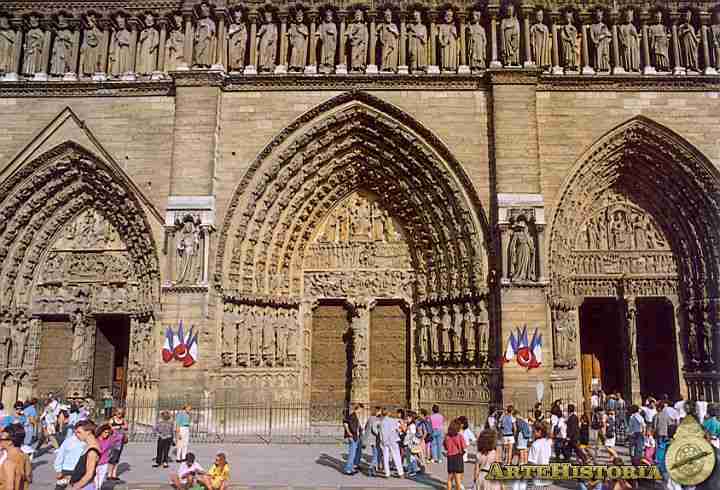 With great use of sculptures and three gateways, the central the largest dimension. 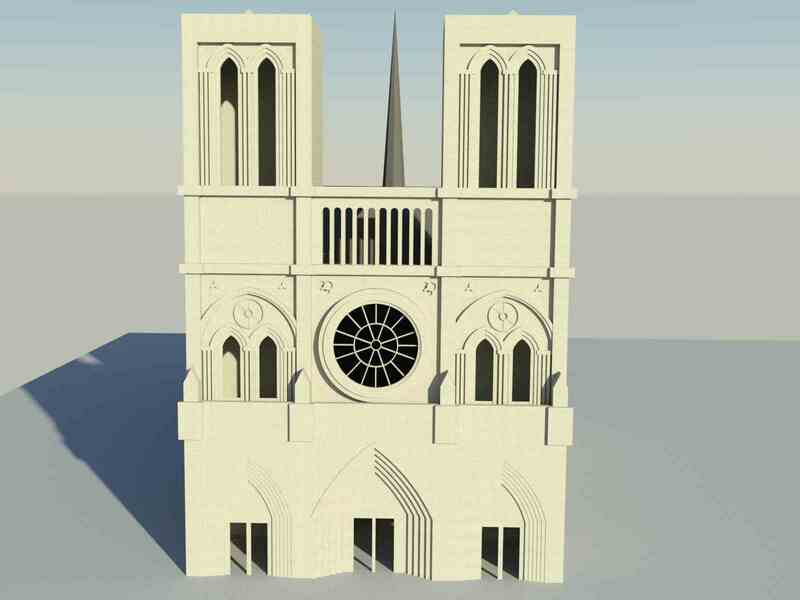 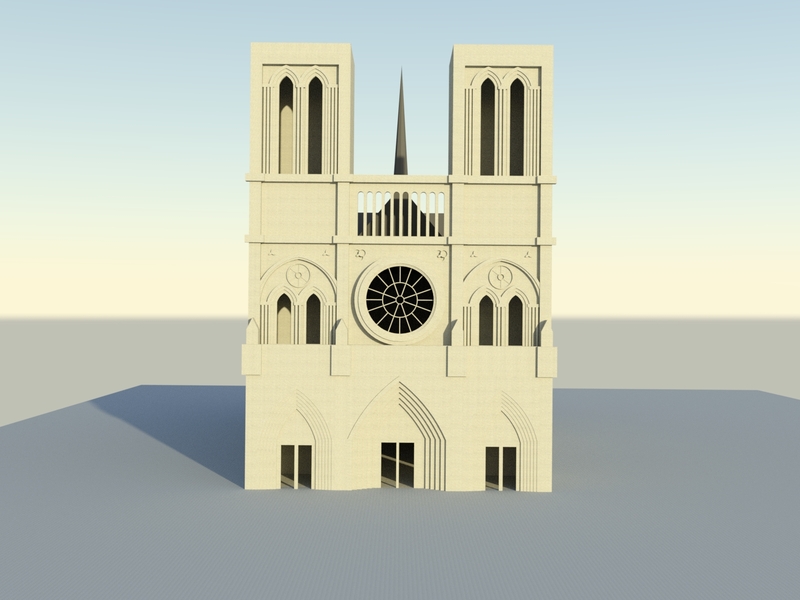 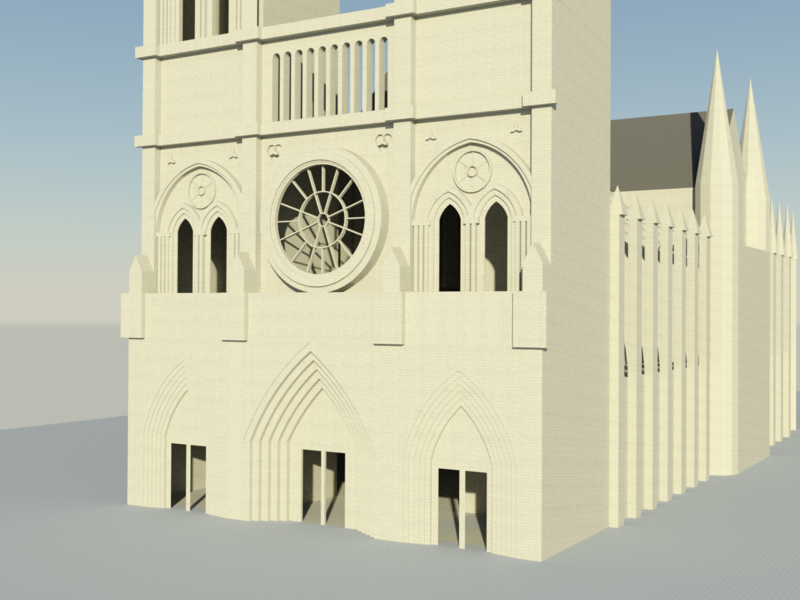 But the main element of the facade is definitely the rose window or Catherine window circular window of the Gothic architectural style characteristic . 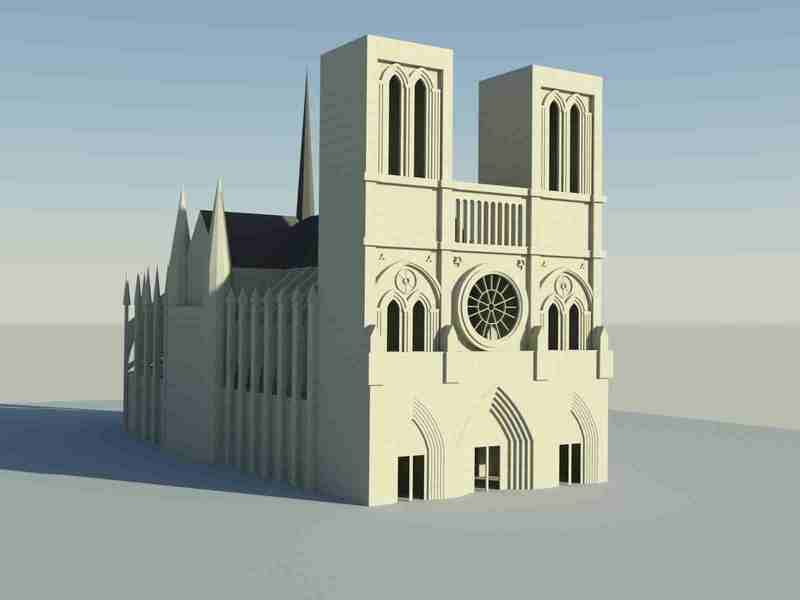 Autocad does not admit more quality of the pictures and materials too.